After over 32 years of working in our family business and creating "treasures", I still am uplifted when a client sees the final product and feels joy. An incredible lady came in with a solitaire diamond, trillion wrap and tapered marquise diamond anniversary band. With the addition of some small round diamonds, she has a new, breathtaking set. I am forever thankful she allowed me to see this vision through and, of course, thankful for her trust. 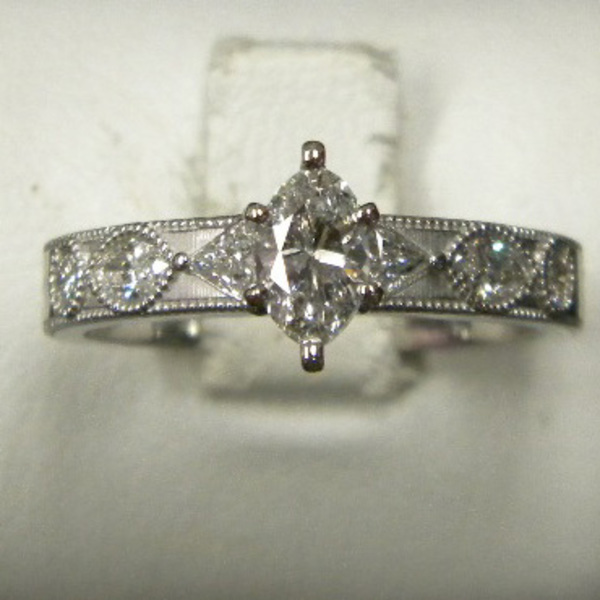 Center marquise in a six prong head with the two trillion shaped diamonds from the wrap on each side. 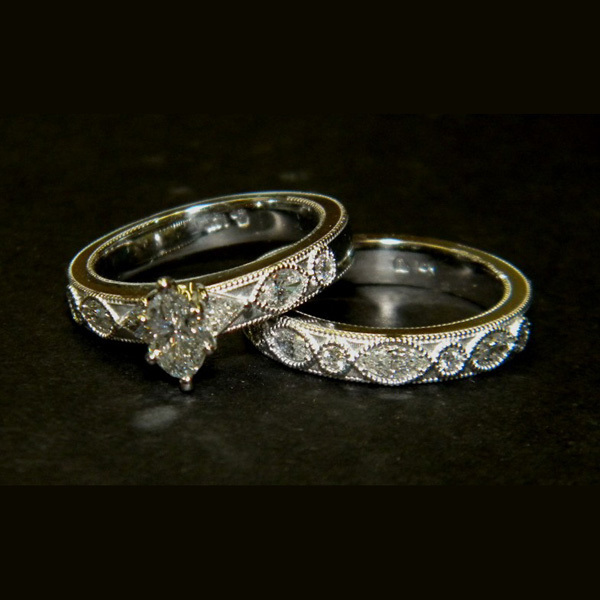 One marquise on each side with an additional round creates a multi shaped diamond ring that is elegant and stunning. 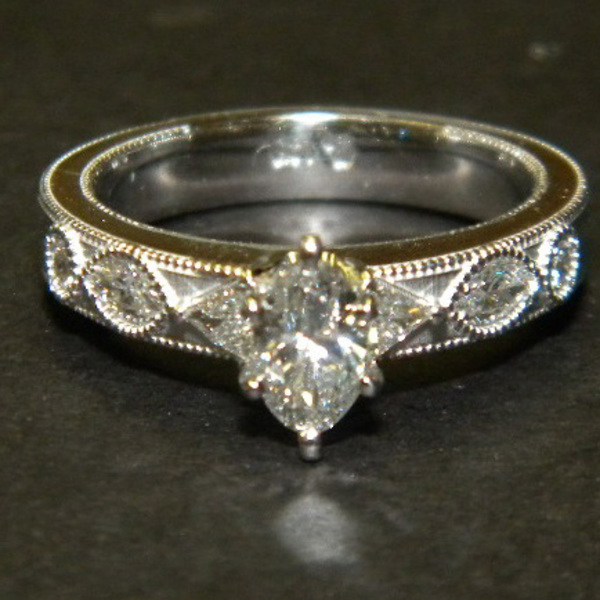 View from the side showing three different shaped diamonds together. Showing detail of the milgrain edges and the light matte finish between stones. 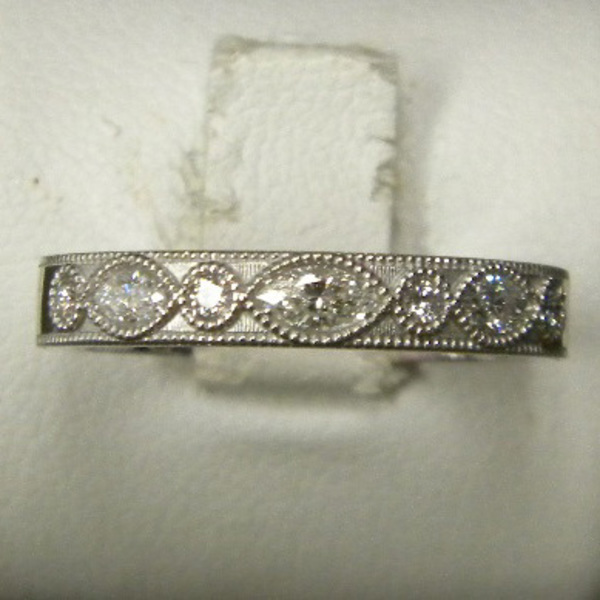 Wedding band incorporated largest marquise from the anniversary band in the center with two slightly smaller ones and four additional round diamonds. 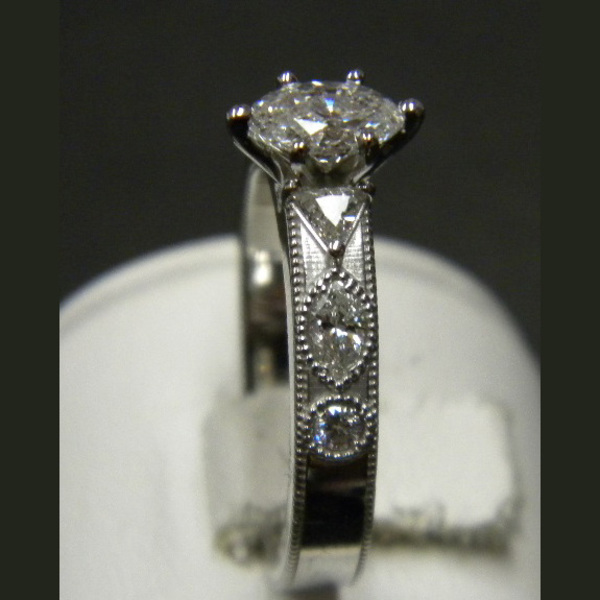 Elegant set incorporates three different shaped diamonds. Anything is possible with imagination!